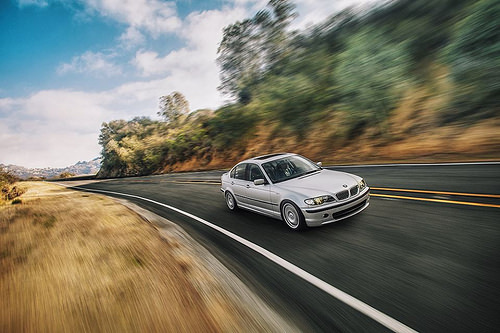 This guide will provide essential information to refresh your non-M E46 suspension. I realize a lot of people are on budgets so I'll divide this list into three stages in order of most important (failure prone) to least important (more durable). Start with Stage 1 and work your way up to Stage 3. BMW bushings are great and they maintain the supple yet firm steering feel BMWs are known for. You can take it a step further in both feedback/feel and durability and get a solid rubber design like Meyle HD. Again, these are for stock replacements. Some people go aftermarket as the firmer shocks tend to eat at and destroy the stock design as it is too flimsy. I went with Rogue Engineering. Perform this work at your own risk. Do not engage in any work that is beyond your comfort and/or skill level. Always secure car on level ground using quality jackstands . Use quality jacks to lift car only, not support. You will need a quality set of spring compressors , a variety of heavy-duty tools such as a breaker bar , heavy duty ratchet, large socket set and an allen key set (I believe you'll need a 6mm allen key to prevent the strut piston from turning as you undo the top nut.) You'll need a 21 or 22mm socket to undo the top nut. Make sure the socket has a hexed-head on it so you can turn it using a 21 or 22mm open end wrench as you hold the piston stationary using a 6mm allen key. This is self-explanatory as you begin to do the work. A nice electric or air-powered impact gun can also do the job quite nicely. Chances are your front swaybar endlinks are torn where the rubber boots hold the grease at the balljoints. Replace. link to buy (2 per car). These definitely need replacing. Worn bushings will compromise the response and stability of side-to-side maneuvering. Two per car. 23mm (non-sport?) link to buy . Or you can just order the Meyle HD set. Tools recommended: Front of car on jackstands, medium and large pickle forks, plenty of extensions, wobbles, step-down adapters. Access drivers side control arm inner nut from top and passenger side from down below. link to buy . Apply blue loc-tite when reinstalling the bolts. Make sure threads are cleaned on all bolts and the two splined shafts which the coupler installs on. Do this part at the same time as the control arm bushings . The reinforcement plate will have to come off. These require tons of labor and special tools. These are for the pickiest of picky. 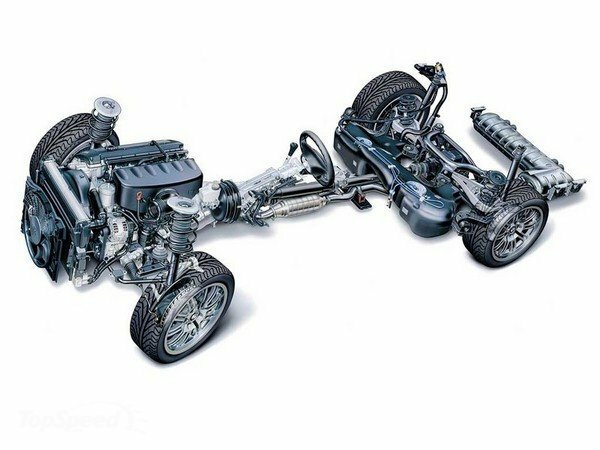 You'll need an E36/E46 rear axle service kit which can be found online. Thank you for using my links to support me in helping you. Every time you use my links I earn a small portion from your purchase and it doesn't affect you at all. Appreciate it! Prices, parts, availability, and listings/links subject to change. Do your own research before buying. Thank you!